Minigrip Redline Reclosable Zip Bag 4 MIL. Minigrip’s flagship resealable bag has withstood the test of time. Since introducing the first reclosable, resealable bag in the USA over 50 years ago, our Premium Redline Reclosable Zipper bags remains the standard. 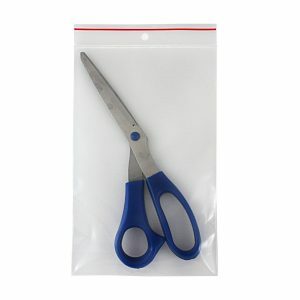 With so many size and film thickness options, it’s easy to see why Minigrip’s exclusive Color Line zipper bag- with its “easy open/close” zipper- is so popular and widely used. It fits any industrial need. Remember, the Red Line on the lip of the bag is our guarantee of consistent quality..each and every time. NEW! Minigrip Red Line Zipper bags now feature a liquid-tight DOUBLE ZIPPER CLOSURE!!! On all bag with lengths 10″ and above.